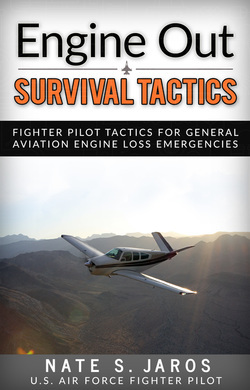 Major formats available to purchase Engine Out Survival Tactics. Look for it in your preferred eReader's website, or click on any of the "Buy Now" buttons here. You will be redirected to a bookstore for purchasing. Thanks! • The eBook costs $9.99 at all major retailers. A few have it on sale for $8.49. ​Retail for the print book is $19.97 + shipping, some retailers might have it marked lower.